Welcome to Charleston, South Carolina! As local partners of the conference program committee, we are excited to welcome an international group of innovative researchers, practitioners, and policy makers working to make communities more active across the globe. Voted the #1 city in the U.S. by Travel and Leisure in 2017, Charleston will provide a unique backdrop for sharing the latest research findings and practical strategies, and for networking with professionals who are passionate about active living in all facets of community. We know you will also experience this charming city as a local, finding adventure in the history and culture, getting active and exploring the green spaces and cobble-stoned streets, and relaxing by the waterfront, all while trying some delicious cuisine. Much like in your own communities, numerous practitioners, researchers, and policy makers in the state of South Carolina and the City of Charleston are working towards active living in a variety of ways. 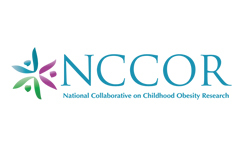 Efforts include the South Carolina Health and Planning Advisory Committee which aims to connect the disciplines of public health and planning into action via county comprehensive plans. Likewise, the City of Charleston has initiated a Comprehensive Transportation Plan, a first in decades, which includes People Pedal, a network of connected bike infrastructure in the downtown peninsula. But there is still much work to be done! Our communities are grappling with complex problems, such as community development and sustainability, gentrification, and health disparities – issues that cannot be tackled by one discipline alone. Partnerships are at the heart of active living work. A local example includes a collaboration to assess and address the impact that low physical activity has on military readiness and national security in order to improve advocacy efforts with local-, state-, and federal-level legislators. Further, local academic researchers from public health, exercise science, and engineering are working to support active living infrastructure and policies through projects examining the usage, physical activity levels, and perceptions of various built environment elements in Charleston. We look forward to sharing work from across the state of South Carolina, from both urban and rural environments. The enthusiasm and action for active, healthy, safe, and equitable communities shines bright at this meeting. We look forward to getting you active in our city and learning from and with all of you. Morgan Hughey, PhD, MPH. I am an Assistant Professor of Public Health in the Department of Health and Human Performance at the College of Charleston. I’m passionate about working across disciplines to study and support the development of healthy, safe, and equitable green spaces, biking and walking infrastructure, and food environments. I am most excited for ALR attendees to explore the streets and green spaces in Charleston, enjoying the beautiful landscape and waterfront views. Dan Bornstein, PhD. I am an Assistant Professor in the Department of Health and Human Performance at The Citadel – The Military College of South Carolina. A primary professional goal is to identify the most effective means to advocate for and implement policy, systems, and environmental changes that support active living. Charleston is a wonderfully charming city, with a rich history, and exceptional food. I'm excited to share my beloved city with the ALR family. Kelly Kavanaugh, MPH. I am an Active Living Consultant for the South Carolina Department of Health and Environmental Control. I’m working to build statewide capacity to implement policy, systems, and environmental changes that support sustainable and equitable opportunities for active transportation. I also look forward to connecting our local partners, planners, and policy makers to the ALR community, further bridging the gap between research and practice. Charleston is a great example of how to preserve a rich, cultural history while promoting active living and development. Keith Benjamin. I am the Director of the City of Charleston’s Department of Traffic and Transportation. I oversee all maintenance, planning, and partnerships at the local, county, and state level. Previously, I served the Office of Policy Development, Strategic Planning and Performance as well as led the Office of Public Liason at the US Department of Transportation. I served on the 2016 Active Living Research Annual Conference Program Committee and look forward to welcoming Active Living Research to Charleston, SC.